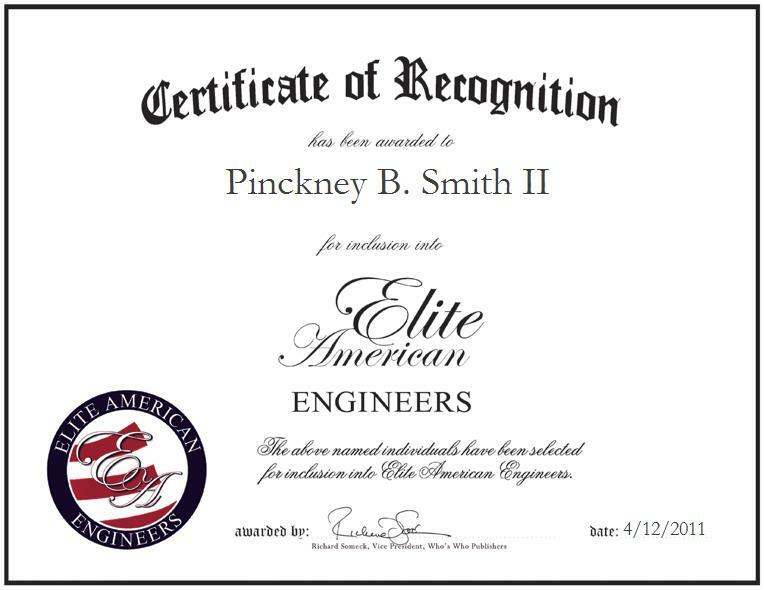 Looking back on 33 years of professional experience in engineering, Mr. Smith believes that his success is a result of the discipline and ethics he acquired during his days in Boy Scouts of America. In his current position with South Carolina Ports, he is a member of the maintenace team that repairs and maintains the operability of dockside cranes and rubber-tired gantry cranes. Utilizing his expertise in process control and instrumentation, he deftly programs changes and overrides functions for continued operations, as well as troubleshoots components and systems for electrical and electronic repairs. Previously, Mr. Smith served active duty in the U.S. Navy for eight years, focusing on nuclear engineering. Since then, he has earned several nuclear engineer certifications, including S5W, S5G and S6G reactor plants. Outside of his profession, Mr. Smith is still very active with the Boy Scouts of America as a lifetime member of the prestigious National Eagle Scout Association. Moving forward, he hopes to share his extensive nuclear industry know-how, specifically from an instrumentation and controls standpoint, with the next generation of engineers and engineering companies.